Now available as a free placement for qualifying merchants! 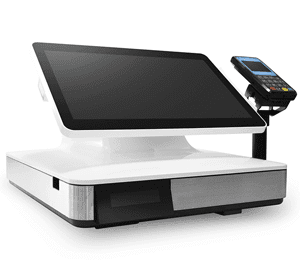 The Groovv All In One is the ultimate android point of sale system. It allows you to have multiple ways for your business to process your payments. You can use the counter-top unit at your counter and the companion payment device at other locations in your storefront. 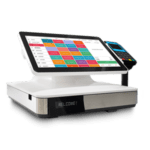 Available with a retail or restaurant configuration and we handle loading your inventory or menu in to the system for you. When it gets to you it is ready to use right out of the box so you can take advantage of the system as soon as it arrives. With PassMarket Integrated Marketing you will not only find it easier to manage your business you will have the tools you need to grow. PassMarket Basic is included at no additional cost including loyalty, store locator, and Bluetooth beacon technology. PassMarket Advanced includes basic plus social media, coupon publisher, and order ahead. Please note, (*) an early termination fee applies for free placements. Ready for your no obligation Groovv All In One proposal? Provide at least your first name and email today. Chris will send you all of the details on his merchant services along with the Groovv All In One POS Program. If you have any questions call him at 800.518.6825. Great hardware and software options by Chris Judy of Total Merchant Services, offered absolutely free with your no commitment merchant services. Have the best free equipment for your business placed today, along with your low fee and no commitment merchant services account. One on one support for your merchant account provided by me, Chris Judy, with comprehensive knowledge of the merchant services industry. Process your cards at 0.29% or less on any account. Higher processing merchants qualify for even lower pricing.